« My God! What a Fall! 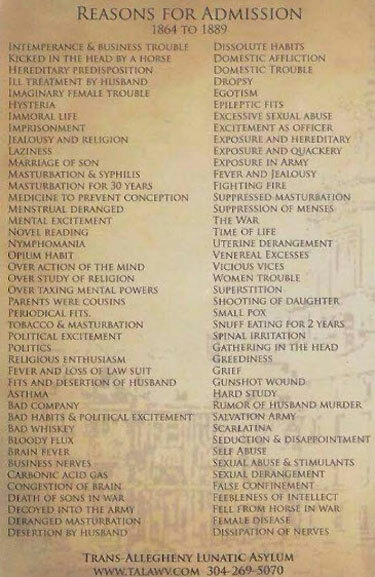 One Feedback on "Reasons for Admission"
Reasons for admission, 1864-1889. My favorite diagnosis is "Gathering in the head." This is not the DSM 5.